After leaving the world of public relations, I dove head-first into the world of marketing. It didn’t take long for me to realize my skill set as a public relations professional made me a different breed of marketer. For example, while marketing concentrates on product placement, public relations focuses on building relationships. Using basic public relations tactics can strengthen your marketing campaigns by reinforcing brand identity, expanding your customer base and creating an integrated customer experience. To do this, you must master social media and understand how to use it effectively. For the late adopters, you no longer can afford to ignore social media. Consider that an Infosys study recently found consumers are 38% more likely to interact with retailers’ Facebook pages than their websites. Smart marketers are creating brand consistency by putting as much thought into their social media campaigns as they do on their websites. But before you start tweeting and posting updates, keep in mind that all social media was not created equal. Knowing how to use the different platforms is going to give you an edge over your competitors and strengthen your brand identity. Facebook encourages interaction between users. Communication consists of comments, likes and shares. The feedback that you get on this platform creates an interactive conversation with your audience. When you post content that isn’t generating feedback, you’re not creating conversations. Instead, you’re creating noise and this will make the content you post irrelevant in the eyes of your audience. If your Facebook page has low interaction, take another look at the value of the content you’re posting and who your audience is. Also, keep demographics in mind to help keep content relevant. Let’s not forget that in order to have a conversation, you need to respond to the feedback of your audience. The easiest way of doing this is by replying to their comments. Because Twitter feeds are constantly updated with a mosaic of content ranging from information to entertainment, there’s something for everyone. Tweets are similar to a stream of consciousness. Start by searching for content that interests you. The search results will include people who use those keywords in their handles and hashtags. Follow, favorite and retweet to start building an audience. Twitter is a great tool for connecting with people and organizations in an open environment. If you want your tweets to be found by your audience, use strategic hashtags. If enough people interact with a hashtag, it starts trending and gets displayed on the main Twitter page. Businesses also have the option to pay for promoted tweets. The key to Twitter is personal interaction. It humanizes brands. An excellent example of this is @TacoBell. The sassy account has 1.1 million followers and constantly interacts with fans. The really fantastic aspect about blogs is that you don’t have to pitch your story to the media. By eliminating the middle man, you decide what gets published, when and how. Because the featured content is your own, you’re in control. But with that control, comes a whole new set of challenges and demands to successfully build an audience of advocates. A strategic blog should include content that informs, entertains and reinforces your value proposition. Blogging includes the ability to engage in storytelling. While websites sell products, your blog sells your brand. By brand, I mean the “perception” that your customers have of you. You can do this by featuring content that personalizes experiences with your product or company. 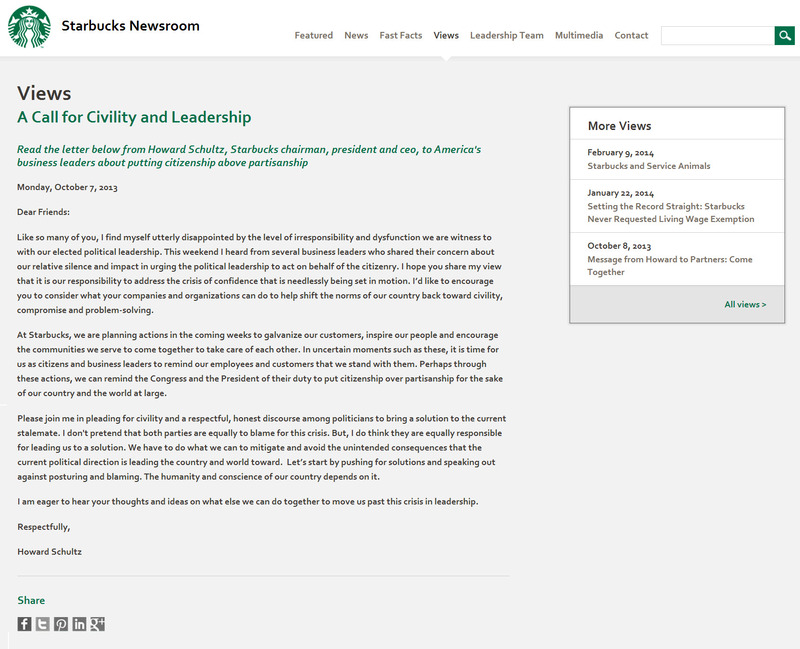 For example, Starbucks uses its blog to publish content ranging from event recaps to letters from CEO Howard Schultz. Stay relevant by planning out your blog posts and publishing consistently. A blog that is not updated consistently is wasted potential. Followers want to regularly consume information and if you don’t provide it, another blog will. 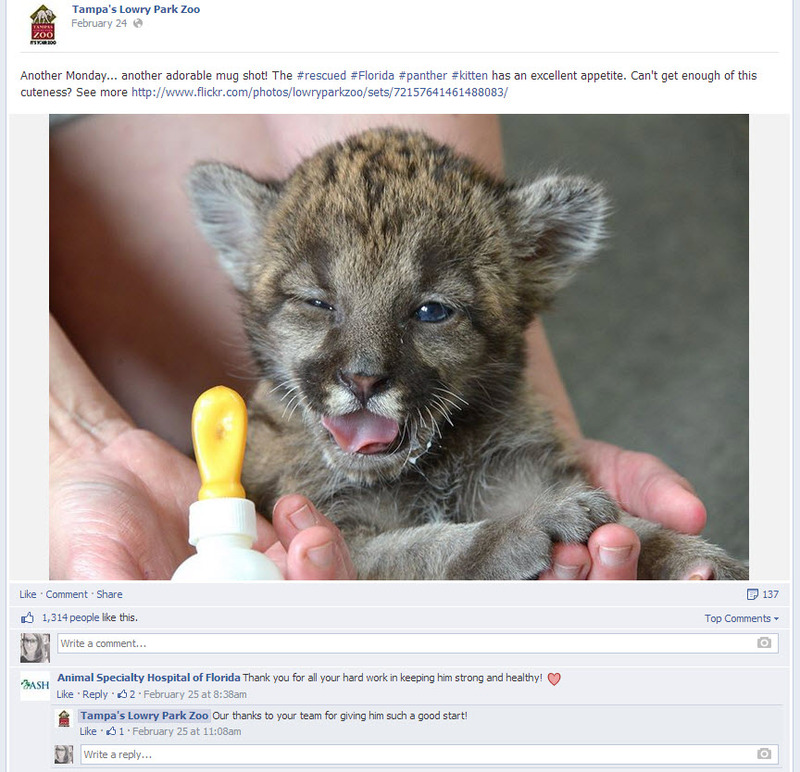 When Tampa’s Lowry Park Zoo rescued a panther cub, it did a fantastic job letting everyone know about it. The picture the team at Tampa’s Lowry Park Zoo featured on their Facebook page received 1,313 likes and 137 shares, but they didn’t stop there. They also tweeted a video and posted mini press releases on their website. This may not have been a full-blown campaign, but it’s a perfect example of how to disseminate information to your audience on a smaller scale by using an integrated approach to social media. With a little creativity and your newfound knowledge of social media, you can reinforce your brand identity, expand your customer base and create an integrated customer experience. Don’t underestimate the value of building relationships with social media, my dear marketer! What a great intro for the oldies, Maria! Especially when the big heads of corporations are kinda old now. Love how you also teach them how social media makes customer interaction a bit more meaningful and personal as it gets when your behind a screen. Also interesting how you used a non-business example to improve publicity. Great post! Many people over look the power of social media when utilized correctly! Thanks for sharing! Thank you Scott, glad you enjoyed the post!